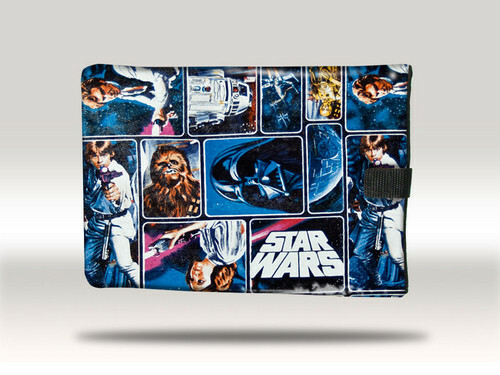 Star Wars 7 and 10 inch Tablet cases/sleeve. Star wars 7 and 10 inch tablet cases/sleeves. They also have different styles available as well, also can use for DS and PSP. HD Wallpaper and background images in the Star Wars club tagged: star wars lucas luke yoda darth vadar tablet sleeve ipad kindle boba fett. This Star Wars photo contains anime, comic book, manga, and cartoon. There might also be cassette tape, newspaper, paper, magazine, tabloid, and rag.